Giving feedback on someone's performance and behaviour at work - both positive and negative - is probably the most simple and cost effective means of improving performance. Yet commonly employees in the UK report not receiving enough of it. Giving feedback should not be restricted to the annual performance appraisal meeting. In high performance company cultures, giving and receiving feedback constructively is a normal part of the working day. This is not without its challenges, particularly in a busy working environment. Consider a common scenario in which you might give a piece of work to a direct report or team member. They complete the work according to their understanding of your instructions and their competence/ability. You look at the work and it is (a) perfect (! ), (b) not quite what you requested/expected, or maybe (c) in need of a few corrections. Do you provide any feedback at all, or, given that you are very busy, do you accept it, maybe making the modifications yourself, or give it back marked up with the required changes? Very frequently, colleagues do not get any feedback at all. This means that they don't know how they have performed - was the work well done and if so, what was good about it? If the work was not well done, what was not good about it and what should they do next time? Without such information, both positive and negative, they are denied a learning opportunity. To effectively manage and develop others it is essential that they are provided with such learning opportunities. If you would like further support in developing your feedback skills or have any questions about it, contact your coach to discuss further. The purpose of giving and receiving feedback is to enhance your own or another's performance, well-being or job satisfaction. It provides another view of a situation, or of observed behaviour and impact, beyond the individual's perspective. Think of yourself in an art gallery viewing a large statue in the middle of the floor. Wherever you stand, you can only see one part of that statue. If you move to the back or the side you see another, different, perspective, but you can't see all sides all at the same time. 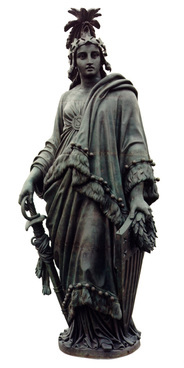 Another person standing and viewing that statue from a different position to you, is seeing something different. You can receive a more comprehensive picture by eliciting all of those views. So, given these overwhelming benefits why do we not do more of it? Usually this is because many of us are uncomfortable receiving feedback from others and uncomfortable giving it to other people. Why should this be? What are the assumptions we are making about it? In all such cases, poor feedback is given when the intention or purpose behind it is not positive and/or when it is delivered with poor skill. Tip #2 - to give feedback effectively it must be given in the right situations and with appropriate skill and care. ​First and foremost it is important to be very clear about your intention and underlying purpose in giving the feedback, before you give it. It is not appropriate for example to "give feedback" when actually what you are doing is expressing your frustration or irritation with someone's behaviour or performance. If you are able to recognise that that is what is driving your desire to give feedback at that point you are then in a better position to withhold your comments until your emotions have subsided and you are able to provide feedback without the unwanted baggage of your frustrations. Remember that the purpose of feedback is to support and enhance the performance, well-being or job satisfaction of another person. Before giving feedback, your intention and purpose needs to pass that test - does what I am about to say serve to do that? An equally valid consideration is to ask yourself, can I serve those purposes without giving constructive feedback? The best, i.e. most valuable and effective, feedback is given soon after the situation or event takes place. The more immediate it is, the more beneficial it is to the recipient. It is fresh in the mind and you both have a clear sense of what happened. For the recipient they are most able to make the connections between what they did or said and your comments on it - this facilitates their ability to think about it and embed their learning (which may be to do more of something, less of something or to change something). If you are not able to provide immediate feedback but the event or situation warrants it (i.e. because there is a useful learning opportunity for the recipient) it should still be provided. Feedback should be offered not merely delivered without the recipient's agreement or permission. This is important from an ethical perspective and also because it will not be constructively received or acted upon if the person is closed to receiving it. Furthermore giving feedback to an unwilling recipient is counterproductive and can generate problems. Clearly there will be times when feedback is required but the recipient may be unwilling to engage with it perhaps in situations of poor performance. The challenge in these situations is to coach the recipient into a willingness to receive the feedback beforehand. Finally, it is important to note that giving feedback is not the same as just giving negative feedback or just giving praise. There should be a balance between these which is fair and appropriate. Merely giving negative feedback can often result in recipients switching off and feeling undervalued. Merely giving positive feedback can frustrate recipients who genuinely want to know what weak areas they should improve on. Evidence strongly indicates that we derive most performance benefit when we focus more on enhancing our strengths than on correcting our weaknesses. This means firstly that we need to know what our strengths and weaknesses are, and secondly that we work more to exploit our strengths and to a lesser (but still important) extent on overcoming weaknesses (and particularly those that may hamper our performance, well-being or career satisfaction). You may previously have heard or been taught about the "praise sandwich" in which it is suggested that negative comments are sandwiched between praise at the start and end of a conversation. This is based on sound research which indicates that hearing positive comments at the start of a conversation leave us more receptive to the negative feedback which follows, and that we conclude the conversation well when it ends on a positive note. However its use in the recent past has led to recipients feeling that they are "being played" particularly if the praise bits are unconvincingly put there merely to buffer the main negative 'meat' of the sandwich. You may conclude that it is essentially more honest and respectful to avoid this approach and rely more on delivering the feedback well. There is considerable evidence to indicate that people respond more strongly to negative comments than they do to positive ones. In other words, negative feedback tends to significantly outweigh positive feedback. There is some evidence to suggest that positive comments/interactions must outweigh negative ones in the order of 5 to 1 to be effective and constructive. 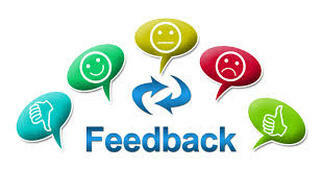 See the HBR article on The Delicate Art of Giving Feedback for further details. What impact does this information have on your approach to giving feedback? "Jane you were on fire in here, absolutely fantastic, well done. I'm sure we've won that client!" "Jane you were fantastic in there. I particularly liked how you noticed his reservations and were careful to draw out his underlying concerns about the deal. I could see that he felt understood and assured - I think that could well land us that client. Well done!" ​Clearly, comment #1 was positive and celebratory but it doesn't present Jane with much insight into what she did well. Imagine too that she'd employed other behaviours, perhaps humour or assertiveness - without this specific feedback she wouldn't necessarily have known which of her behaviours had been effective in this instance and therefore would not be in such a good position to exploit these with this and similar clients in the future. ​Being specific also means not making sweeping or generalised statements, such as "you always", "you never", etc. Remember too that your feedback should be based upon your observations of their performance or behaviour and not your assumptions or interpretation about the recipient's underlying motives or intentions (which you can't know for sure). Be direct in your comments using balanced, non-emotional language and a careful tone. Be sure to get to the point clearly and avoid giving mixed messages. Remember the 'praise sandwich' from earlier? This can lead to mixed messages such as this "John your work on this project has been great, but..." - which bit is John going to notice and focus on? Which bit is most important? It is important to 'own' your comments when you make them and not hide behind generalisations. For example saying "I have noticed that you are frequently late in delivering your timesheets" is more effective than saying "You're always behind in your work". Where you are delivering negative feedback ensure that you express your concern and desire to help the recipient work to improve the situation. A word or two about giving public praise - negative feedback should always be given in private but positive feedback may sometimes be less private. However your knowledge and insights into the recipient's characteristics should inform your approach - many people do not like receiving praise or positive feedback in public and find it embarrassing and awkward. Finally, having provided feedback you should follow up any actions the recipient planned or agreed to take. Follow up may be formal or informal but it should take place and continue to be under your 'watch' until you are satisfied that the feedback has been acted on effectively. Many people, including the outwardly confident and robust, find receiving feedback difficult. Some may be very anxious about it and that anxiety can play out in various ways. For this reason it is important to exercise care and to pace your comments such that you are able to assess the impact they are having. This does not just relate to negative feedback - positive feedback has been known to cause upset and tears in the recipient. It is important that you can handle these situations calmly. People expressing difficulties when receiving feedback may be defensive and challenge your comments, they may get upset and tearful, or angry and challenging. They may simply withdraw, sit back in the chair and refuse to engage further. In all cases your objective is the same - to share the feedback and ensure that appropriate action is taken. The approach you take however will need to vary depending upon the response you are getting. In this guide we are not going to focus further on these situations but if you encounter them or have any concerns about them, your coach will be happy to advise you further. To support you in receiving 360° feedback the following information is provided for your reference. Be open to, even welcoming, of constructive feedback. This is being given to you, for your benefit, from people you have asked to provide it. Other people's perceptions of what you do well and what you do less well, how you behave and the impact you are having, provides important information that you can use to boost your performance and make changes to achieve your goals. Don't brush aside the positive feedback and simply dwell on the areas for improvement. When receiving feedback it is very common for people to skate over the positive comments and ratings, and zoom straight into anything they consider critical or negative. This is problematic for two reasons: (1) optimal performance and well-being entails being able to recognise and accept your strengths and weaknesses and to hold them equally in balance. This means accepting that you have both strengths and weaknesses and being 'OK' with that. It is not possible (or desirable) to be excellent at everything. (2) A significant body of research indicates that we derive greater performance and development benefit focusing mainly on our strengths rather than simply focusing on our weaknesses. If you don't fully understand your strengths you can't enhance them or capitalise on them. Think about your response. Once you have received it, take some time to think it through and consider how you'd like to act on it. Are there consistent themes emerging that you might want to do something about? Are there some surprises you might want to ponder on, get further feedback on, or speak to your coach about? If a piece of feedback doesn't resonate with you and, if on further reflection you cannot think of examples that would have led to it, then you might want to reject it. Whilst it is helpful to challenge yourself and accept feedback gracefully, not all feedback is helpful and if you genuinely cannot find a productive way of acting on it then you might decide to ignore it.